Up until very recently, I did not recycle. (*brief pause for collective gasp of amazement*) Nope, not one little bit. Like the thoughtless savage that I am, I tossed newspapers, glass bottles, and plastic bags alike in the bin, caring not that I was bloating the world’s landfills with evidence of my own conspicuous consumption. And the cans–oh, the cans! Do you know how many cans a Diet-Coke-aholic can go through in a week? Well, neither did I, until it happened. We discovered a member of the Green Police living in our very own home. I remember it clearly. It was Earth Day. Katie returned from third grade that afternoon full of information about environmental conservation, the white hot fervor of newborn activism burning in her eyes. As an assignment, her teacher had asked the class to find one thing they could personally do to help the environment. I couldn’t run. I couldn’t hide. Suddenly, I was cowering in the glare of the spotlight, answering uncomfortable questions like: “How many bags of garbage does our family make in a week, Mom?” and “Why do we throw everything away instead of recycling it?” and “Isn’t taking care of the earth important?” Suddenly, my oft-repeated excuses for not recycling–that our apartment complex doesn’t provide recycling bins, that we don’t have enough room in our small living space to collect recyclables, that a few cans didn’t make much of a difference anyway–began to sound a little flimsy. I saw my daughter, standing shining-eyed before me, bursting with youthful optimism, completely convinced that even one person’s actions can have an effect in the world–and it made me remember that I believe that, too. So here I am, a recalcitrant recycler, rinsing out a Diet Coke can (my third today) in preparation for adding it to the stash under the sink. Then, when that bag is full, we will drive it out to the recycling bin in front of the school, where the drop box recycling program brings in welcome extra funds for classroom supplies. I can’t say it’s not a hassle, but it’s not nearly the hassle I expected. Sometimes I do slip up. The other day, for example, I had gathered up our full-to-overflowing kitchen trash bag and was just tying it closed when Katie appeared and pointed to the aluminum evidence of a couple of my absent-minded infractions. (A pox on those translucent trash bags!) “Mom,” she said in a tone of voice usually reserved for my sole use, “did you forget to recycle those two cans?” Caught. Under Katie’s approving eye, I sheepishly fished them out of the muck and placed them in the proper receptacle. I admit, I’m still not totally green. I haven’t traded in our dependable Ford for an eco-friendly hybrid vehicle. I use the air-conditioner with wild abandon. And I can’t seem to bring myself to buy 28 reusable canvas bags for our monthly groceries. But, thanks mostly to Katie, I do recycle cans. I’m saving the earth, raising money for education, and getting Al Gore off my back, all at the same time. And I know my kid is proud of me, and of herself, for making that happen, which is the best reward I could ask for. The faintly virtuous feeling is just a bonus. From the mouths of babes…apparently pleas from decades older friends, the message just isn’t the same. Glad you’re taking those cans somewhere. True…your many urgings fell on deaf ears. But it’s not your fault. Your eyes just don’t glow with the undamped fires of third grade idealism. A powerful weapon, that. I do not see how to make it work , the recycling of everything – you need bins for plastic, glass, cardboard, paper, metal – and where EXACTLY am I supposed to put those? Maybe I should recycle my kitchen table and chairs and just line up the bins so I can toss the recyclables into them as I go? I recycle plastic grocery sacks, egg cartons, water jugs and cardboard boxes. We turn ripped , irreparable clothes into rags to wash our car, and we save coffee cans for storing various things. This is my recycling. But an idealist I am not. Your sweet daughter would be scandalised. Please don’t tell her. Ha, I won’t. Honestly, saving cans is the main change we have made. We don’t have room for every breed of recyclable, either, so I chose the one that would make the biggest difference. I think it’s good to do what you can, but I’m no zealot by a long shot! Hopefully I can keep it up…and maybe do more eventually. Still, 28 canvas bags–that’s a lot. We’ve always recycled our cans and paper but other than that we’re not very green. (Especially now with the diapers!) But, I think Katie is right, every little bit helps. I’m with you. No amount of environmental peer pressure could have convinced me to use cloth diapers. So I suppose my newfound love of the earth is more of a like. Good for Katie and good for you. It does become a habit eventually. My one flaw in recycling is what you mentioned…. the bags at the grocery store. I have enough trouble getting myself to and through the store with everything I need. I can’t imagine trying to lug all those bags also. I should try to figure it out though. Great post! Al would be proud. Walmart sells their cloth bags for a dollar apiece, so it’s not too much of a bank-breaker. Like you, the remembering to bring them and then lugging them all around would be the harder part. I can attest to their strength, though–I’ve been using one as a carrier for books to and from the library. I’ve started recycling cans: they’re $0.75 a pound now! With our green-gained lucre, we’re saving to buy a FULL tank of gas. Ha! That’s an inspired idea. In a few months, you just might have enough! Speaking of fuel prices, it only occurred to me after Father’s Day was over that a gas card would have been a great gift. Hmmm…maybe for Paul’s birthday. See, my family thinks we are total hippies. We recycle (my hubby had to teach me! ), shop with reusable bags, buy organic (that required research), grow our own maters, use biodegradable cleaning and personal products, all while driving an SUV. ha! It is weird but the more I’ve paid attention to what I put in my body, clothes or air, I am making changes that may or may not help the environment but surely help my family. Thank you! I will pass your praise on to Her Greenness. I think it’s pretty awesome that you do all those things in hopes of helping the environment and bettering your family’s life. I mentioned to Paul the other day that with the gas crisis progressing, we might all find ourselves living Little House on the Prairie style with horses and wagons. If that happens, I’m going to need some gardening lessons, so I might be in touch! Easy. Start with a Topsy Turvy hanging tomato planter. Even the blackest thumb can grow some real beauties! Well, we don’t drink sodas in our house, so there are no cans. We drink lots of water that I refill into 2 large, 5 gallon bottles, so we usually don’t have any plastic (we don’t drink milk either, thus no milk jugs). But, I did splurge over the course of several shopping trips to purchase 9 reusable grocery bags (at 99 cents a piece – and by the way, those 9 bags can carry $200 worth of groceries – I know this by first hand experience!). So, I guess I am doing my part, more or less. I wasn’t sure it would be a worth-while purchase on my part, since I have a hard time remembering to take my grocery list or coupons to the store with me, but I’ve been keeping the bags in plain sight in my van, so that when I do get to the store, one of my kids will inevitably remind me to grab them when we get out of the car. So far so good! And, I had intended to plant some tomatoes this past Spring, but before I knew it, planting time had passed. And now, with the stinking tomato scare of 2008, I am really wishing I’d planted the darned things!!! Oh well, maybe next year, huh? They do turn out better than us, don’t they? Good for you, Mom. Wait till she find out each can could be a nickel in her college fund. Mama guilt is sometimes a pretty good motivator for me (hiding sheepishly behind my hands). For instance, I generally only open the bag of chocolate chips or other “bad” dessert when I know that they won’t see me! Good for Katie and good for you! I recently purchased some of the reusable grocery bags from Kroger & Trader’s Joe’s and I’ve been pretty good about using them. The Kroger bag boys still look at me funny, but oh well. I also just got into the recycling…glass, cans, and cardboard for the most part. I guess I should do newspapers too. To continue on my hippie trail, one of the best things we can all do is stop buying so much bottled water! Plastic bottles require massive amounts of fossil fuels to manufacture and transport. Billions of these bottles wind up in landfills every year. Buy each of your family members their own aluminum, food-grade oxygenated polymer resin water bottle. Yeah, it isn’t nearly as convenient but we gotta stop the plastic bottle madness! Ha!! I think this is so funny since it was you who made us give up paper napkins, paper plates and paper towels when you were growing up. Where did you begin to backslide? I do not know thee. I recycle as much as I possibly can…. and thats even down to passing on good out grown clothes of me lads etc….. I think maybe its easier over here OR Britain are making more of a stand on things……. cos what we have were I live is……..
Our Dustbin men ONLY come once a fortnight, so ya rubbish bin HAS to last for 2 weeks…. that way sort of forces people to use their recycle bins more…..
and the recycle bin men come the following week to empty the recycle bin……. so each only get emptied once a fortnight……. Along with the recycle bin we were all given a very very large GREEN canvas square sack with handles where we can put all garden cuttings and grass cuttings and green foliage ……. this is collected on the same day as the recycleable stuff and gets emptied into this huge green van where it goes to be shredded and used by the council for making compost and sold to farmers and gardeners at a very very cheap price……..
Every household were also offered an very LARGE compost bin for just $20, which are about $100 in the garden centres for one of the same size……. I dont know if this is normal for over where you live, but its a way of life over here now……. all stuff that cant be put in the bin or be recycled or composted or in the bottle back up the road, goes to the ‘dump’ about 3 miles away……. ps……… its been almost a year since Ive used a plastic carrier bag from a shop…… the only time I have them is when I do me grocery shopping on line and get it delivered, the grocery shops that deliver aint worked out yet how to do away with the plastic bags…..
Just to give you the side of the story you don’t see in the media…..I like your blog and you are an amazing person, just as we all are, in trying to help the environment. It’s just we should consume less packaging, and encourage companies to use less packaging, not feel better about recycling……..here’s the critics of recycling. Shocked me when I found out all this too! Surprisingly, however, there are critics, or even opponents, of recycling. It’s not that they do not want to recycle; it’s just that not everyone believes that it is the way to solve the environmental problems of garbage. Now are there any reasons why using ubiquitous recycling bins are a waste of time? Here are some of the critics’ reasons. 1. Recycling, instead of reducing, actually instigates environmental problems. Ironic, you might say. Critics say that recycling an old product into a reusable one actually uses energy and creates pollution. This makes sense; when recycling, the material is cut, melted, treated with chemicals, etc. before being made into the final recycled product wherein the chemicals and processes that are used are actually pollutants in themselves. Critics say that recycling is a zero-sum game, meaning, the pollutants and waste from making the new goods shift into the recycling industry. This is, in fact, true to some types of products wherein the benefit and the trade-off are doubtful. However, a lot of advocates of recycling also defend the endeavor by stating other benefits in terms of efficient energy use, reduced consumption of natural resources, and diminished release of pollutants. 2. Recycling is not needed since there is no garbage problem. Many critics state that the “garbage crisis” is perceived. That means, there is actually no garbage problem. Why? you might ask. Well, they claim that there is still a lot of areas to be used as landfill space. In addition, landfills are safe, simple, and cost effective way to store garbage. While this is apparently true in countries that comprise of single large masses, a lot of people don’t find this appealing. I mean, no one would want to have beautiful valleys and green fields filled with garbage. Most of these people think its better to stick to a recycle bin. Besides, even if the landfills are covered, seeping water tends to be absorbed into the underground water reservoir, contaminating clear, clean water. Remember the old environmentalist line, “We’re running out of landfill space”? If you’re still using it, it’s time to retire that one. The New York Times reports that the garbage industry is in the midst of an efficiency increase “more typically seen in technologies like computer chips and turbines that generate electricity.” When it comes to good old fashioned garbage, it seems we’re no longer “running out of places to throw things away.” Simple changes of method — better compacting, faster decay, tighter stacking — have left the US market, anyway, with more than enough space, and landfill prices haven’t budged in ten years. Since the revolution is still in its early stages, this is a non-problem that’s not likely to go away. 3. Recycling provides us with a false sense of security. Critics say that recycling causes its own harmful environmental impact as stated in the first criticism. Due to this impact, recycling does not really help the environment at all. However, due to false propaganda and massive information campaigns, people tend to believe that recycling is actually good and they are doing something essential to protect the environment. In addition, recycling also tends to influence customers, making them acquire an attitude of entitled consumerism. What does this mean? Well, it means that people would have this mentality that it would be okay to buy products that are not environmentally safe, such as plastic bottles or diapers. Thus, instead of buying less, people will tend to buy more of these products since anyway, they would be recycled. That is the mentality of entitled consumerism. 4. Recycling is expensive and time consuming. This is also another reason why many people, especially those belonging to poorer nations, opt to throw away their trash anywhere than using a recycling container. Recycling equipment are actually expensive. Indeed, many of these equipment are so expensive that obtaining or using them becomes an economic liability rather than an asset. 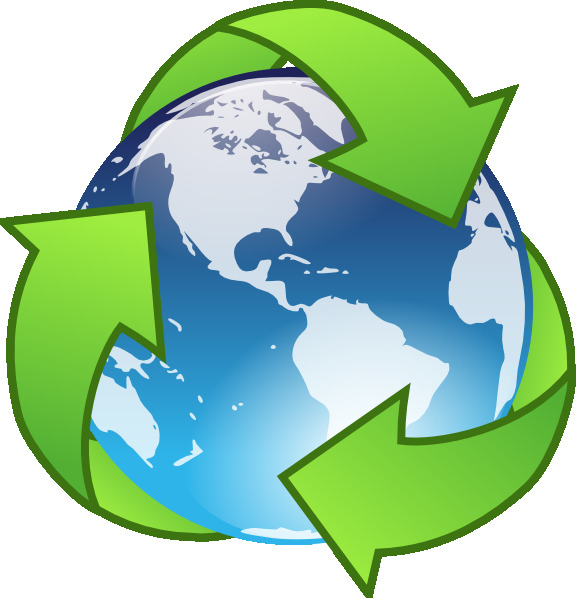 Also, many materials are difficult to recycle, such as electronic parts. 5. Successful recycling entails a good supply-and-demand flow. To be efficiently and economically viable, there should be enough recyclables to process and a good demand for reprocessed goods. The problem here is, again, consumerism. To eliminate consumerism, governments must intervene or enact legislation for a steady supply of recyclables and a consistent demand of reprocessed goods, such as observance of recycling decals. I agree with what Staci said above about using less packaging, but I still don’t think that that’s an excuse for not recycling. Anyway – I could get up on a soap box, but I won’t… I’m just happy you’re not throwing away aluminum cans anymore… if you had any idea how difficult it is to get aluminum from the earth you’d never throw another can away again. Give Katie a big high five for me! Oh, and bonus–aluminum recycles well, as in it’s easy to remake it into something useful. Glass, I’ve heard, takes a lot to recycle.